The ASA Institute for Risk and Innovation has gathered 22 research notes focused on operational risk and written primarily by the institute's research associates. The collection is divided into four sections: business practices, business preparedness, business security, and emerging trends. The collection is introduced by Annie Searle, author of "Advice From A Risk Detective" (Tautegory Press, 2011), who also wrote three of the research notes. 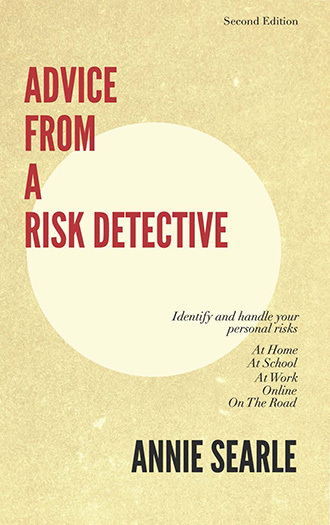 Everyone has personal risks to handle at home, at work, online and on the road. Searle advises you on how to take take risks with confidence by having your plans in order. She divides life and its risks into four chapters, with tips and checklists for each. This slim volume makes an ideal gift for family and friends, and even colleagues. Written in plain English, with plenty of stories about how things can go wrong. 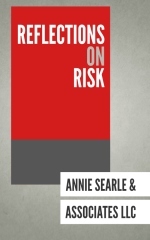 Using her expertise as an operational risk executive, Searle shows how to take risks with confidence and argues that taking risks is part of life; identifying risks and taking precautions can be learned; and that making a plan to handle your risks does not take much time or money.